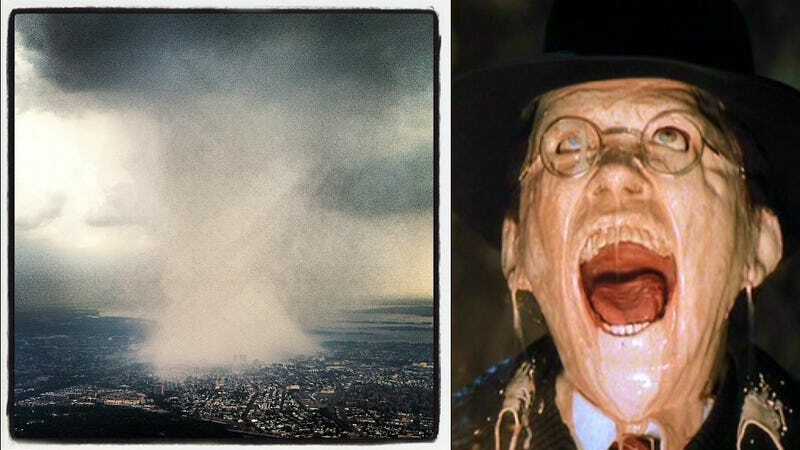 Did somebody open the Lost Ark in New York City or are the Ghostbusters back in town? I'm stuck at the airport right now and my flight has been delayed because of the insanely huge storm that is hammering the city right now. Just look at this picture, instagrammed by Dhani Jones. Dhani—a former linebacker who played for eleven seasons in the National Football League—took the photo as he flew out of LaGuardia Airport.